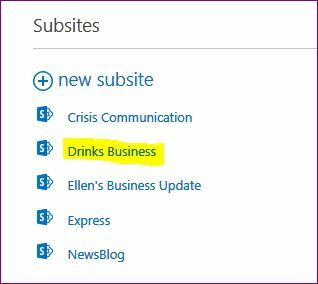 But sometimes you have to change the name of your organizational unit or your product portfolio, and that may have repercussions for your content. To avoid unpleasant surprises, I have made a list of what you can change, how to do it, and what happens – good or bad. 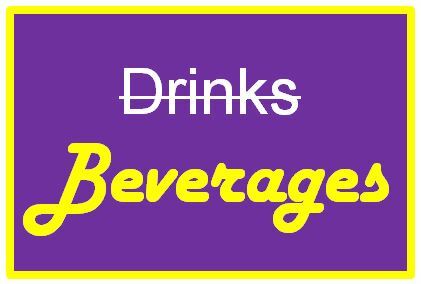 I will change my example “Drinks” business into a “Beverages” business, and the product categories will change as well. 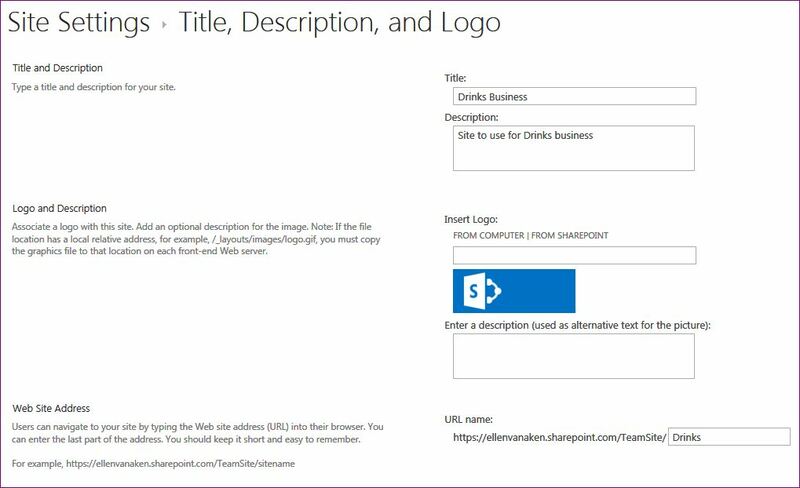 Site and document library before the names are changed. Now, let’s make those changes! How: Gear wheel top right > Site Settings > Look and feel > Title, description and logo. Overwrite the title with the new one and click OK. The new site name is displayed on all places, such as top left of site, Navigation, site map web parts etc. 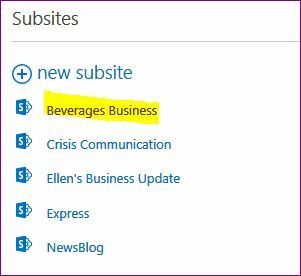 The old name still appears on my Office365 > “Sites I’m following” page. How: Gear wheel top right > Site Settings > Look and feel > Title, description and logo. It depends on your permissions if you see this option. Content accessed via My Favourites, Navigation, links lists, emails, buttons or other places where you have used the old URL will display a “page cannot be found” error when clicked. I have reversed this change because I want to access this site from the “Sites I’m following” page. 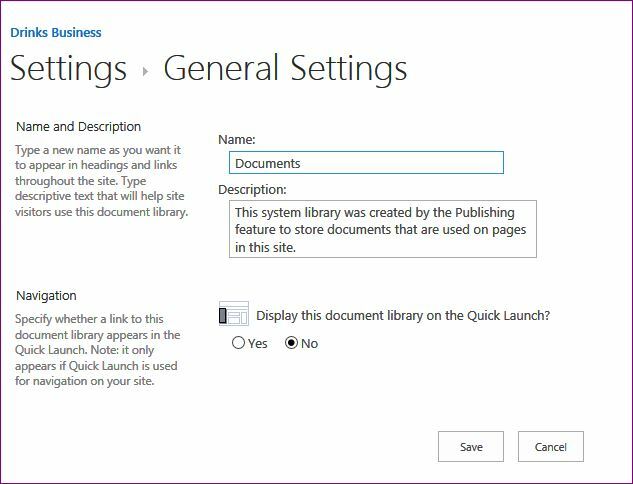 How: Click “Library” tab > click Library settings from the ribbon > List name description and navigation. Replace the name with the new one and click Save. 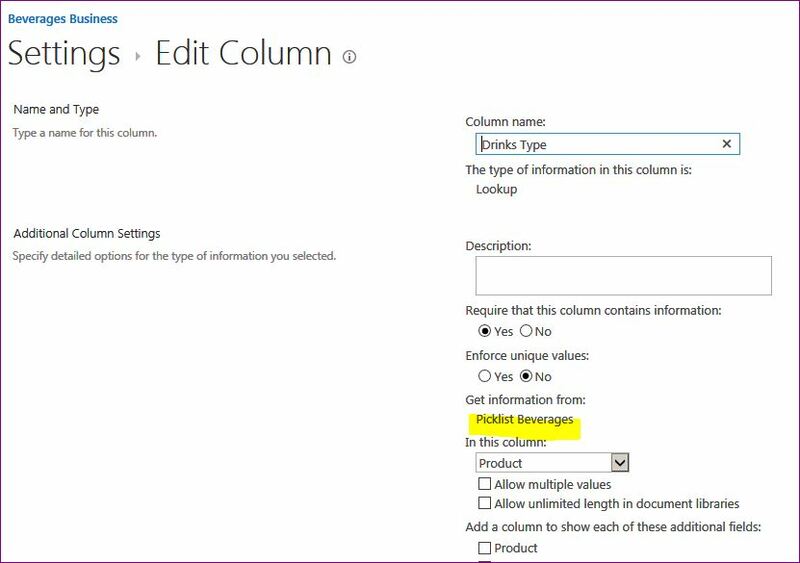 If a list is used as a Lookup List for a document library, the name change will automatically be adjusted in the library. How: Click “Library” tab > click “Open in Explorer” in the ribbon. How to change the URL of a Library. All Links to the library or list and their content, accessed via My Favourites, Navigation, Links lists, emails, buttons or other places where you have used the old URL, will display a “page cannot be found” error. 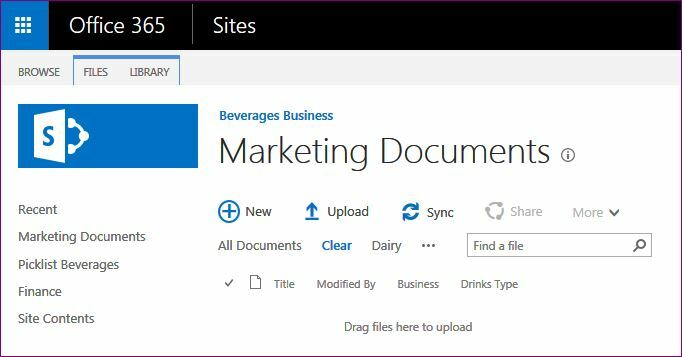 If a list is used as a Lookup List for a document library, the URL change will automatically be adjusted in the library. On top of the library you will see the Views in alphabetical order (and the Default View first). Please scroll up for the first screenshot and you will see Dairy, Juice and, if you click on the …, there’s Soft. 1. On List/Library, select List/Library from the ribbon, and open Modify View in the ribbon OR 2. Click on … behind the views and click “Modify View”. Replace the View name and click OK .
How: On List/Library, select List/Library from the ribbon, and open Modify View in the ribbon. Replace the View URL and click OK. (Please do not use spaces) What happens? All Links to the views, accessed via My Favourites, Navigation, Links lists, emails, buttons or other places where you have used the old URL, will display a “page cannot be found” error. 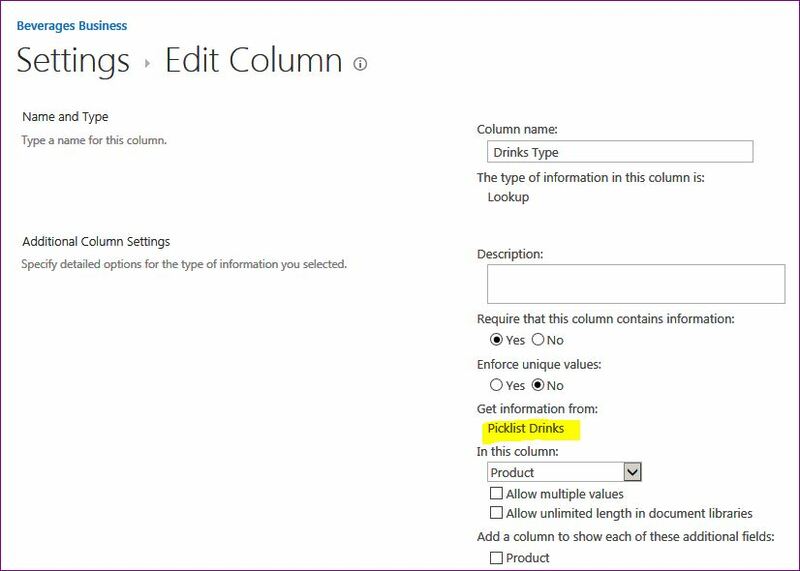 In a list, links or buttons that open a new entry form, and go back to another than the default view after entry, will display an error (although the data will be saved – the New Item part is correct; but the Source link is no longer correct). If you open a new form directly from the list, no problems will occur. That is enough for today. Next time, I will show what happens if you change other elements in your site. The title of this post is inspired by David Bowie’s “Changes”.